New 2850cc / 110hp Corvair in photos. 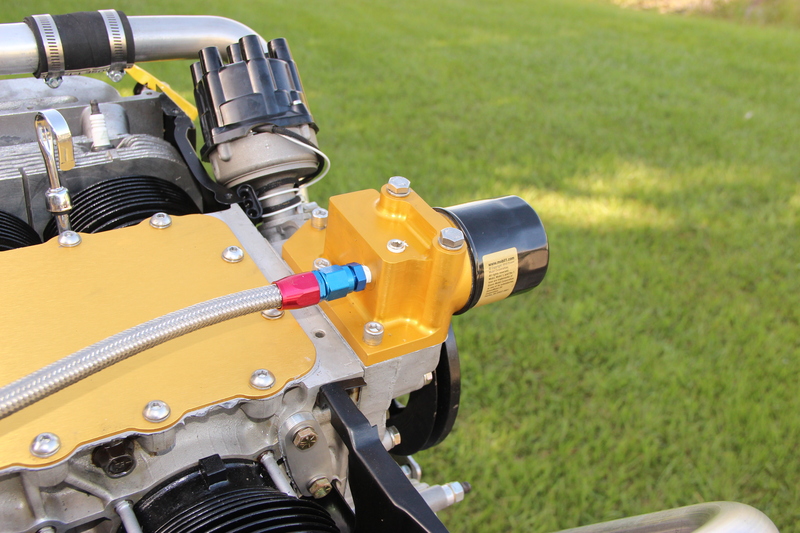 Below is a look at a 2,850cc engine I built and test ran the first week of June. 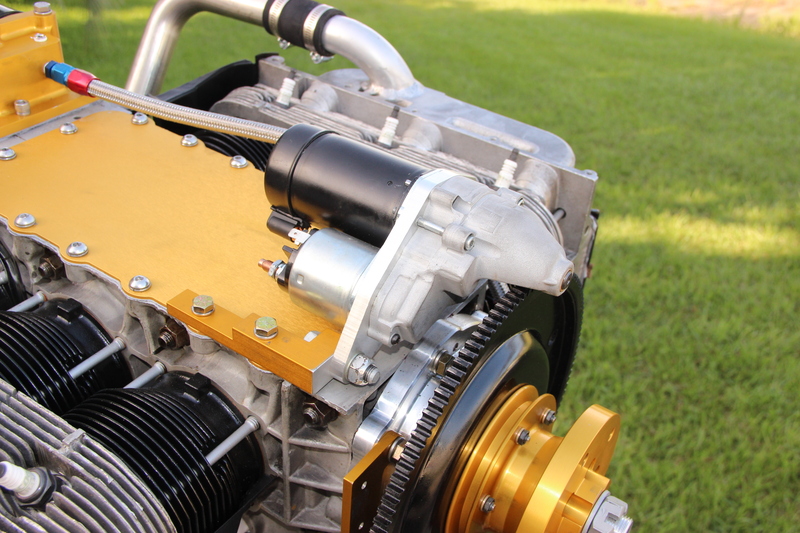 It is now in the hands of the owner, bolted on his Bearhawk LSA project. 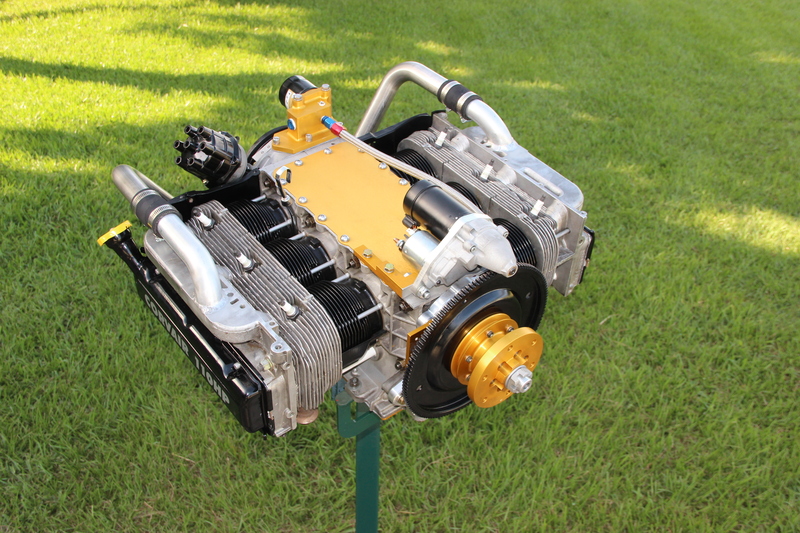 The engine was built around one of our 2,850 piston and cylinder kit. It features a Weseman billet Crank and rods, and a Gen II 5th bearing. It ran like a banshee. It was on the test stand for about 2 hours of break in runs. 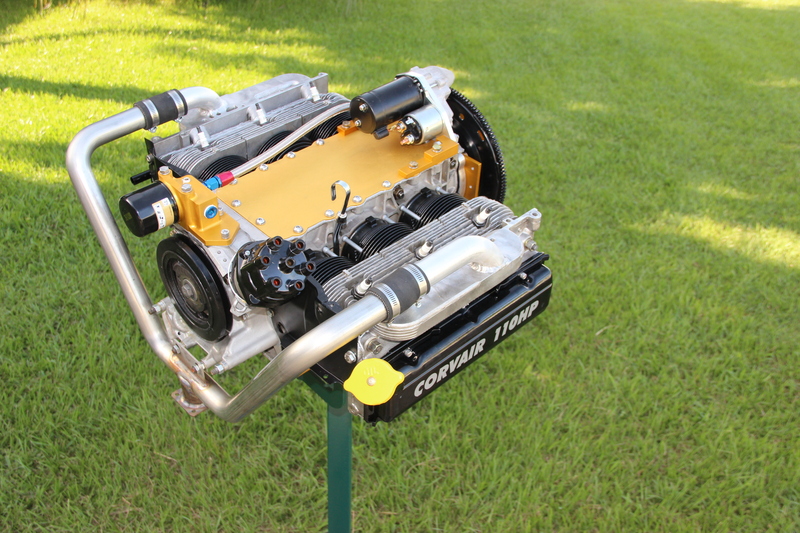 Every year I build a number of example engines like this, to demonstrate how “state of the art” Corvairs can be custom configured to a particular builders project and needs. 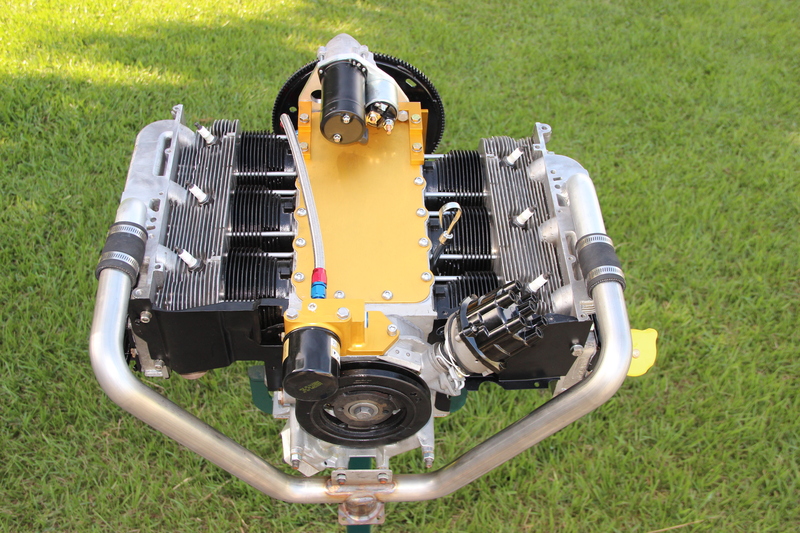 The great majority of Corvair flight engines have always been, and will always be, made by the hands of the builders themselves, with our manuals, training and parts, building their own example of a proven engine, like the one above. These builders are not motivated by the money savings available, their primary motivation is the be in command of their own project, to learn, understand and know every part of their aircraft. The desire to be the master of your creation, rather than just it’s owner, is at the very core of homebuilding….. Many people know this, but the settle for far less, and for a variety of excuses they cede control and understanding of their power plant to a commercial provider, who essentially puts the “no user serviceable parts inside” sticker on their product, demoting the potential of the builder from “master motor head” to ‘consumer’. 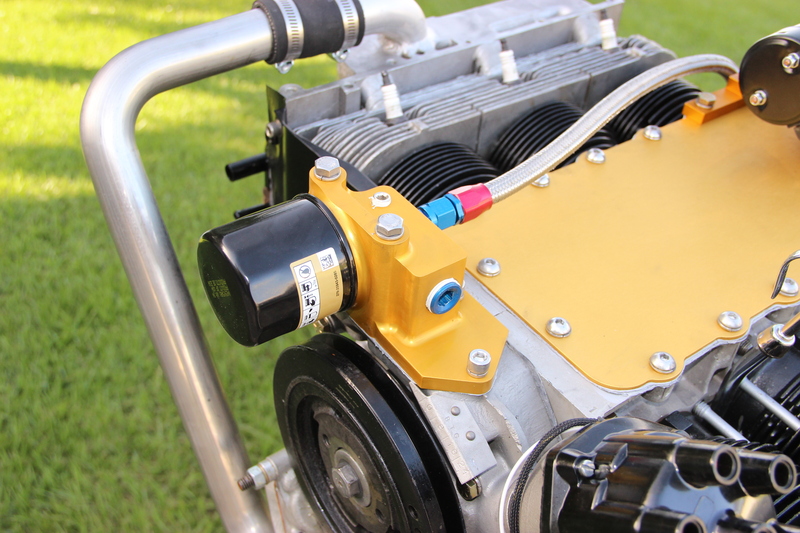 95% of the people who put an engine on the front of their homebuilt this year will settle for that. Many people find comfort in doing what the masses do, they need to know that the ‘trend’ is. For the small minority who don’t concern themselves with the ‘choices’ of others, Only interested in what will advance their own mastery and control, we have the Corvair. If that sounds like you, welcome, we have your seat at the table ready, and you will join the company of the small group of builders who have chosen to discover how much they can learn and get out of homebuilding, not how little. 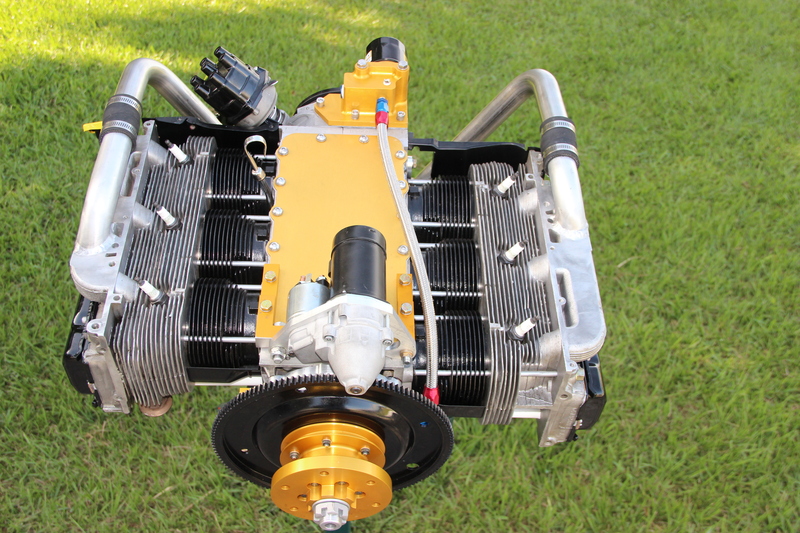 Top view showing 2400-L starter arrangement. 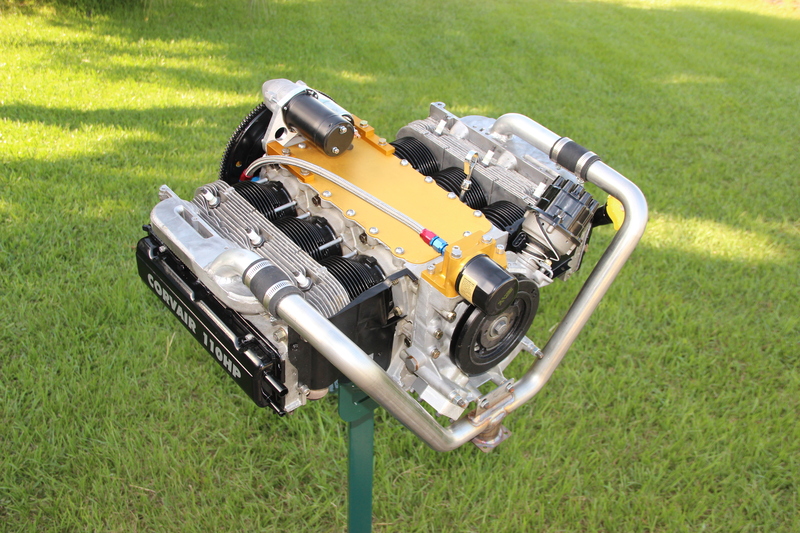 Back view, showing standard intake manifold, HV-2000 oil case, and E/P/X distributor. Front quarter view: The only used parts in this engine are the case halves, the head castings, the oil case casting, the distributor body and some misc. hardware. The rest, including the cylinders, pistons rods, crank, and all conversion parts are brand new. Rear quarter view: This engine has both electronic and points ignition. Front quarter view: The oil line feeds the 5th bearing directly. 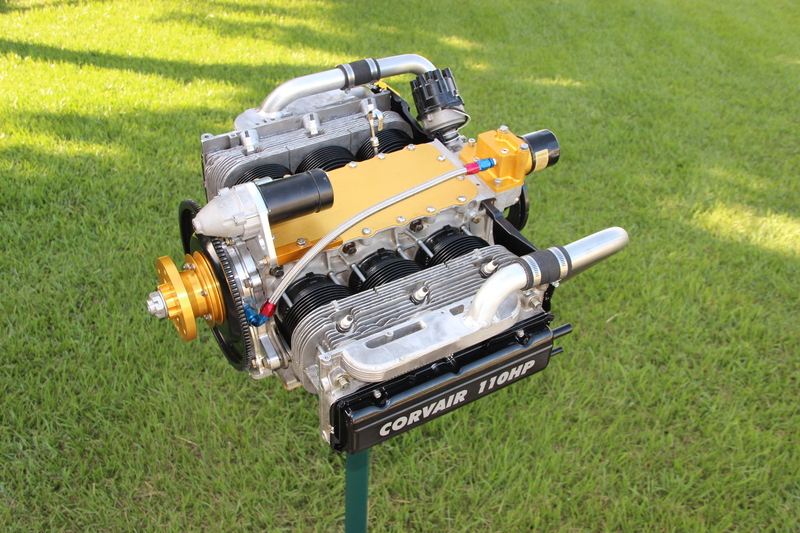 Side View: Corvair is only 16″ tall, the carb adds to this depth slightly, but this is not a ‘blunt’ motor. Close up showing Weseman Gen II billet 5th bearing. Rear view of 2400- L starter. It does not need a tail bracket. It is more powerful than standard starter while drawing less amps. It is 3 pounds lighter. Standard Gold oil Filter Housing. Large blue plug is for test run. In service, this is the oil temp location. Accommodate either electric or mechanical instruments. Opposite view of Gold Oil Filter Housing. 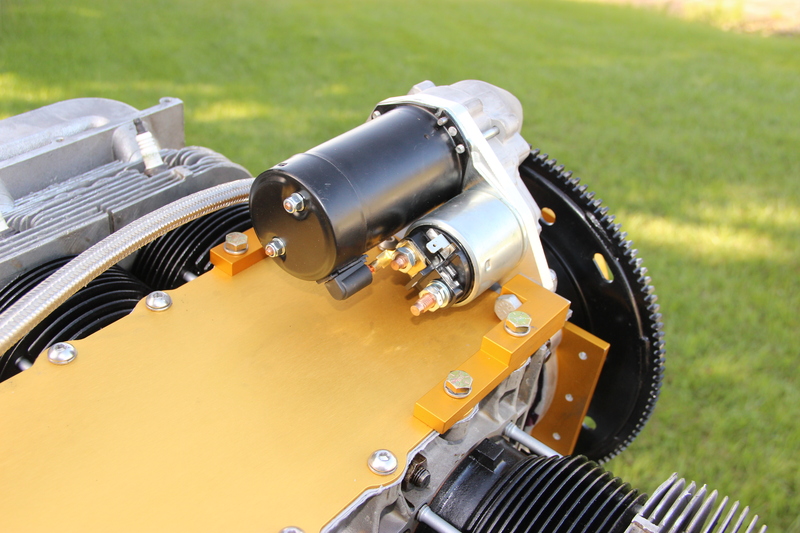 Port on top is location of oil pressure sender on aircraft. 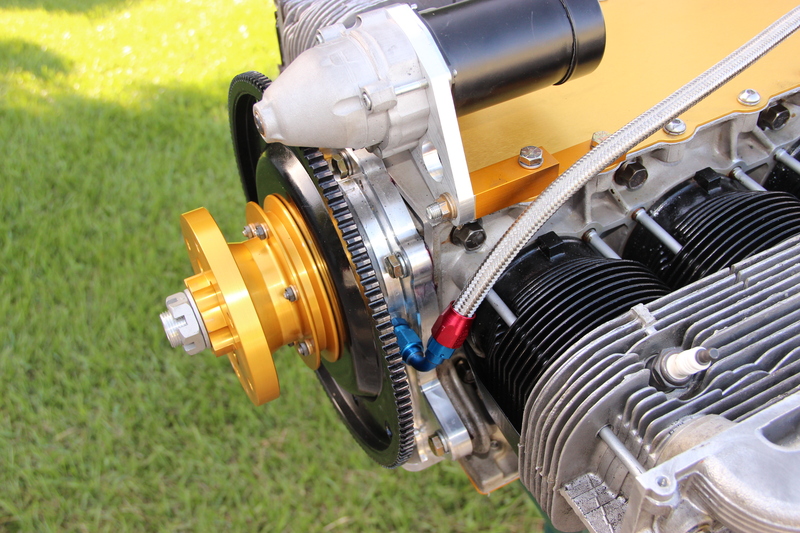 Starter in place: The small gold bracket behind ring gear is the inboard section of the front alternator bracket. 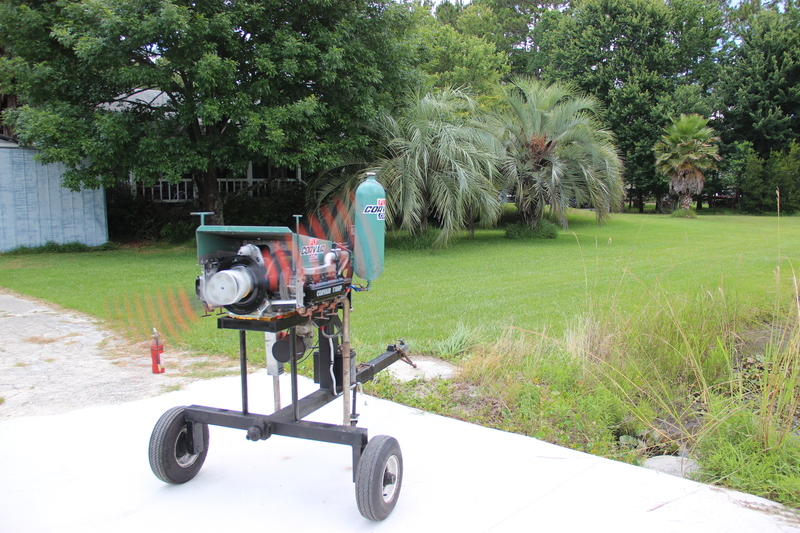 Engine running on the test stand in our front yard. 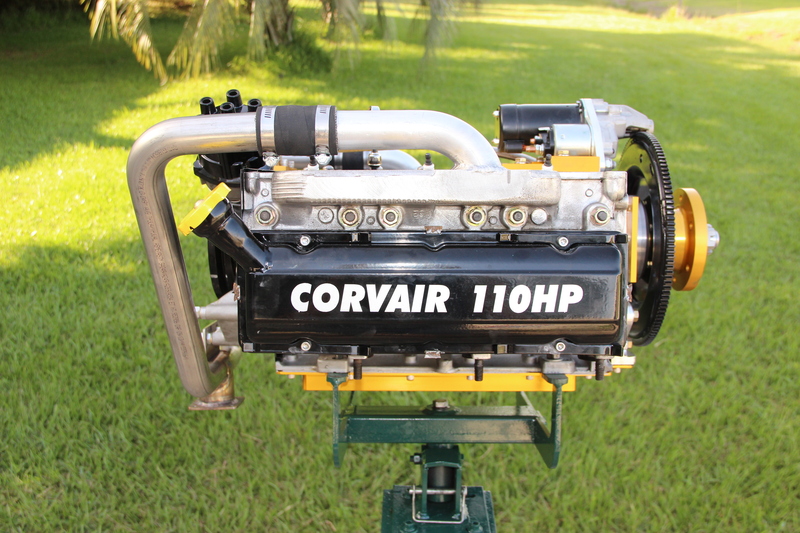 7 Responses to New 2850cc / 110hp Corvair in photos. Very tidy and professional looking setup. I like the look of the new starter. I’m looking forward to installing and flying the 3L version on my Merlin. We have your 3,00cc parts set in FL, we are in NJ this am, driving back today, to prep for Oshkosh, We have a lot of mailing to do we we get back home, but it will be on its way before we go to Airventure. ww. Very nice. Perfection in motion! Bill, Thanks for the note. When posting comments I like to have guys include their names, rather than just their email, thanks. What are some of the reasons why someone would choose a 2850 over a 3000 for a fresh build? This one with all the bells and whistles shows that there must be reasons other than budget. PS, I’m glad to cover any question, but I like them to come in with a full name and some idea of what project you are working on or thinking of. Thanks. Beautiful. I cant wait to see the on the Bearhawk. I have been turning some Aluminum scraps into STOL CH750 parts so that feels good. I had read you were planning a trip West and Colorado is on the way. Any chance we could get a visit, maybe set something up with the local EAA Chapters or other potential builders?? Thanks again as always for your contributions.